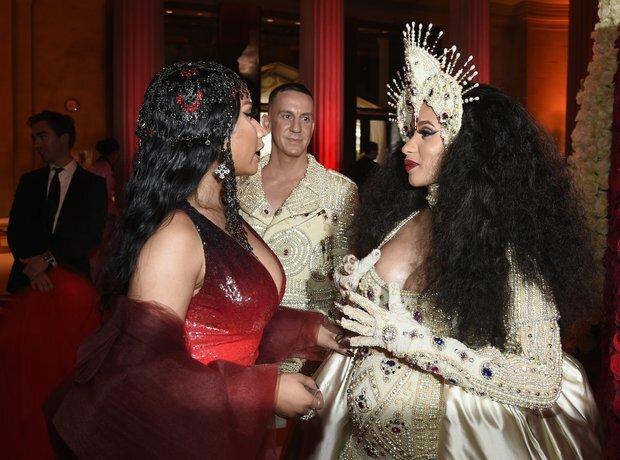 Nicki and Cardi bumped into each other at the 2018 Met Gala. 16. Nicki and Cardi bumped into each other at the 2018 Met Gala. The pair were spotted chatting up a storm during the star-studded event, sharing what appeared to be a friendly exchange. It's said that the pair week brought together by designer Jeremy Scott, who is a close friend of Nicki's and also designed Cardi's gown for the evening.